Tokyo, based on common knowledge, is one of the most populated cities in the whole of Japan. It is a prefecture of its own and is home to a crazy number of pedestrians, commuters, and travelers. There are tens of thousands of people living in the city, occupying floors upon floors of residence and office. 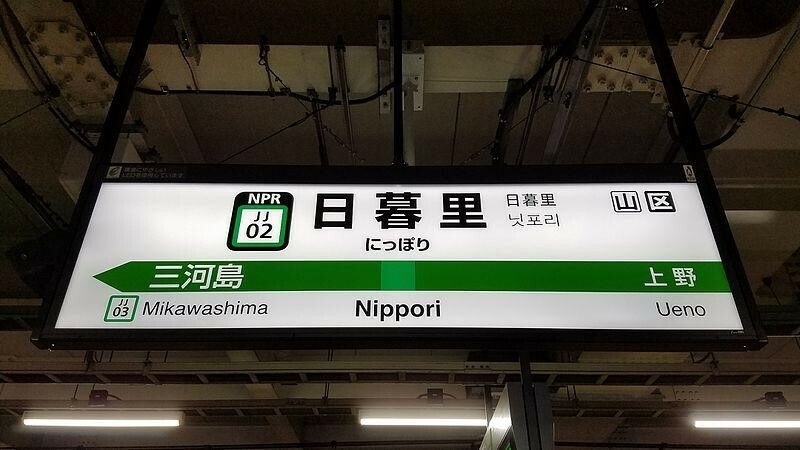 Many people from different regions of the country migrate to Tokyo for work or study and one of the stations that take these migrants to Tokyo would be the Nippori station (must not be confused with neighboring Nishi-Nippori station). Literally, the word Nippori means “where the sun sets”. There is limited information, however, explaining why the station is named as such. Regardless of that, it is said that going to the Fujimizaka area five minutes away to the west of Nippori station is the best place to get a majestic view of sunsets from the Mount Fuji. What it is best known for, other than its sunset image is the fact that the Nippori area of Japan is popular for giving off an “Old Tokyo” vibe. This is due to the fact that many parts of the district have traditional shops, structures, street food, and other products known to be from the Taisho period. What makes it so different from other stations in Tokyo is the fact that it is one of the least populated districts of the city. It only takes about 100,000 passengers on a daily average, significantly lower than those from other stations around Tokyo like Shinjuku, Harajuku, and more. It is only the 37th busiest station in all of the stations in the region. Despite its small number of daily passengers, it is one of the largest terminals in all of Tokyo. It is an interchange station located in Arakawa district where people taking the bus or train can transfer to another line, mostly to take them to a line going in a different direction. The terminal is so huge that it is a center point for many people working and living in the area. There are shops, cafes, restaurants, and more either inside the station itself or just nearby. On top of that, the Nippori station is also popular for tourists because of its proximity to a number of unforgettable tourist destinations. This particular station is located specifically in the Yanaka area of Arakawa. It is located northwest of Tokyo’s Ueno ward which is quite a busy location. This is a place where a little over a hundred individuals enter and exit its premises. This count already includes those who enter from the station and exit the station as a terminus, meaning those who get off and get on from the station itself. It also includes all those that step onto the platforms to transfer to another line operating in the terminal. This is not the oldest train terminal in Japan and it does not really play that much importance in history other than the fact that it is an entry point to historical places like Nippori and Yanaka. However, the original Nippori station was built in 1905. In the 1930s, its adjacent station was known as the Keisei station officially opened. However, it was only in 2009 when an elevated platform was built to separate the Nippori platform with the Keisei line. 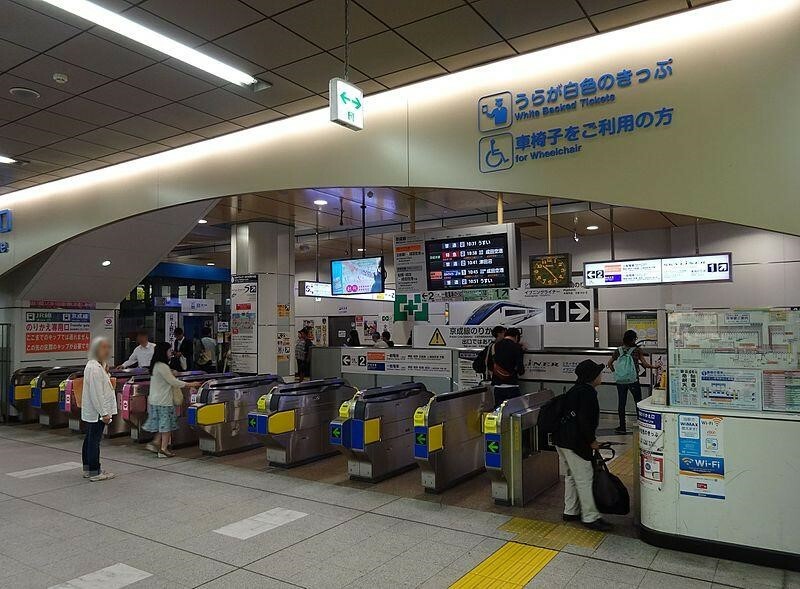 There are different ways to enter and exit the Nippori station of Tokyo and they are located in different wings of the terminal through its many different exits – it has a south gate and a north gate for entry. It also has an east exit and a west exit taking passengers to different sides of the city. The North gate and the west exit are nearer to the JR platforms while the east exit is nearer the Keisei platform. Shimogoinden Bridge - Although it is not actually a part of the Nippori station, instead this bridge is a popular spot for those who wish to enjoy the fast pace movement of trains going in and out of the Nippori station. It is located at the northwest end of the large terminal. It is a pedestrian bridge that transports commuters and pedestrians from one side of the station to the other. Bus and Taxi terminal - There are bus stations located at the main exit of the Nippori station. Routes include the Minumadai Shinsui Koen, the line going to Tobu Asakusa, and there is even a bus line going to Mikawashima station. This is located at the east exit of the terminal. There is also a large taxi stand right next to the bus lines. 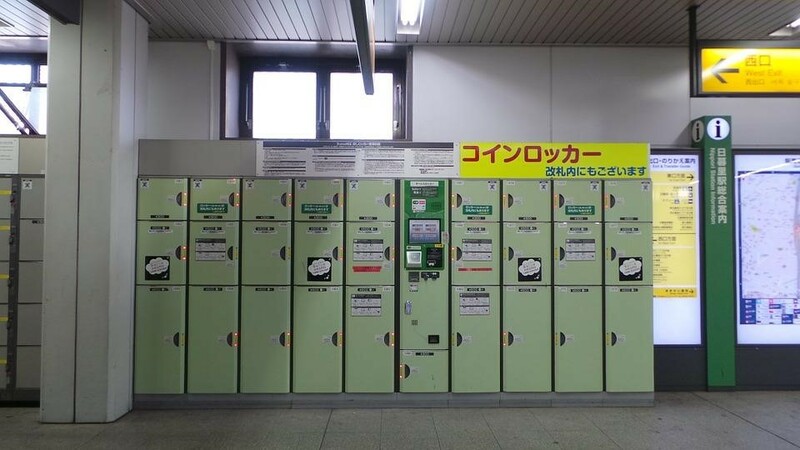 Nippori Station Lockers - Since the Nippori station is quite a popular destination for tourist, there are luggage storage or lockers available at the station. These are coin-operated lockers that allow storage of items that usually expires after 24 hours. This is great for people who just want to have a day trip to the city or enjoy a short side-trip to Tokyo. It is also advisable for people who are enjoying a backpacking trip through Japan but it is best to keep safety in mind. The problem with this, on the other hand, is that despite the fact that there are available coin lockers in Nippori they are quite limited. There are actually just 15 lockers available in the area to serve thousands of visitors every day. This is why it is best to just store luggage in hotel lockers, or inside a rented room. The train station in Ueno has more storage units than in Nippori. The Nippori station has multiple platforms, gates, exits, and more where each line has a platform of its own. For instance, the Keisei line platform is an elevated platform which was constructed in 2008. Although there is only one platform, it serves both the skyline, the city liner, and the evening line of the Keisei line. The Nippon Toneri platforms are also elevated and also consisted of one platform with two tracks. This design is similar to the Keisei line platform design. There are a total of three railway lines running through the Nippori station which is operated by the East JR System. These include the Joban line, Keihin-Tohoku line, and the Yamanote line. The Joban Line is a rapid transit line which travels from Nippori Station going to Miyagi. This is one of the best lines to take when traveling to Ibaraki, Chiba, and Fukushima. The Keihin-Tohoku line is the rail system that takes individuals to Saitama, Kawasaki, and Yokohama. On the other hand, the Yamanote line is one of the most important train lines in all of Tokyo. It connects different districts and wards around the city, transporting thousands of individuals per day. The Yamanote line goes around Tokyo and takes its passengers to a total of 29 different stations. It also connects the major train lines to subways or local trains. For those who wish to go to Disney land, there is no direct line or connection linking Nippori to Tokyo Bay. However, tourists can take the Yamanote line going to the Tokyo station. Then transfer to the JR Keiyo line going to Maihama station. Tokyo Disney land is already a few minutes walk from there. The Keisei Main line actually traverses the Nippori station as it takes passengers from the Ueno Station to Aoto. What is special about this railway system is that it has two express train lines that take passengers from the airport to the city center. This is known as the Nippori station Skyliner. It takes individuals from Nippori going to the Narita Airport terminals. The Nippori-Toner Liner connects Arakawa to Adachi in Tokyo. It is an AGT, or automated guided transit, which means that it is completely driverless. This line has a total of 13 stations even if it travels such a short distance. This is one of the most used local train lines in Tokyo where it has a total of 40,000 passengers each day. Although the Yanaka Ginza Street is slightly more than a kilometer away to the west of Nippori Street, this is still a popular place to visit. 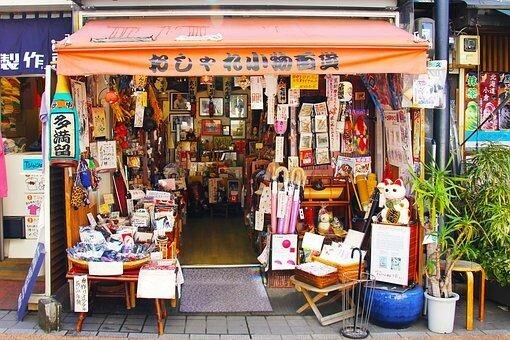 This is one of the most popular shotengai or shopping street in Tokyo where different kinds of items being sold. This includes clothing, toys, furniture, and even kitchenware. The great thing about this is that a number of items can be bought for less than 100 yen – an ultimate deal for the cheapskate shopper. The best-sellers from the Yanaka Ginza Street would be the snacks and street food. It also takes tourists back to “Old Tokyo” with their Shitamachi culture. The Nippori Fabric town reminds a person of the age-old flourish of textiles in this part of Tokyo. It is a kilometer long street lined with shelves, racks, and stores of fabric. The best part about going to this place is that there are so many options to choose from – different colors, kinds, textures, and designs. There are also accessories such as beads, buttons, leather, and even trims. Furthermore, these could be bought for the cheapest and most affordable price. Although a cemetery is not the typical tourist destination, the Yanaka cemetery located less than a mile from the Nippori station is an interesting place to visit. A lot of tourists go here not to visit a family member’s tomb but to appreciate the beautiful scenery. Yanaka cemetery is the home of what is known to be the Sakura-Dori which is a street lined with beautiful cherry trees. This tree is amazing during the springtime and turns the cemetery into one of the best Hanami festival spots in Tokyo. On top of that, this is also a great place to visit during the fall because of the amazing fall colors displayed by the cherry trees. On top of the beautiful display of cherry blossoms, the cemetery is also highly visited because of the elaborately design tombs and headstones. The paths of the cemetery are also so well-kept that going around the cemetery feels like walking in the park. Another main attraction the Yanaka cemetery can offer is that it is the resting place of more than 16 popular shogun or samurai leaders. This includes the last shogunate leader of Japan - a man named Tokugawa Yoshinobu. The Tennoji temple is also located less than a mile from the Nippori station. It is one of the oldest temples in the Yanaka area of Tokyo and is frequented by tourists year-round. Based on historical records, this was built in the 12th century. The peak time to visit this temple is during the springtime because of the beautiful cherry blossom display in the courtyard of the temple. It is said that these cherry trees are hundreds of years old. Another main attraction that the Tennoji temple can offer is the gigantic bronze Buddha situated at the left side of the main building. Many people are awed by the artistic work and finish of the bronze sculpture and are also amazed by its size. Also known as the Kyouou-ji temple, this place is also a great place to visit during the springtime to enjoy the beauty that the cherry blossoms can offer. Tourists enjoy going to this temple is reminiscent of old Tokyo, in its full traditional glory and splendor. The Kyoji temple has a few small walking trails or paths leading to a beautiful rustic garden. It is truly an enjoyable and relaxing walk. Tokyo has hundreds, if not thousands, of hotels and inns lying about. There are luxury hotels in some parts, affordable hotels in another. There are dormitories for the solo traveler and even capsule hotels for solo businessman traveler. There are a number of accommodations and places to stay, especially near the Nippori station. Since this part of the city boasts of its “Old Tokyo” or “Traditional Tokyo” feel, it is without a doubt that there is an inn or two that is completely traditional. This includes traditional Japanese tatami mats, traditional Japanese furniture, and even traditional Japanese slide doors and windows. This is quite a rare sight in the urban lifestyle of Tokyo but it is a great opportunity to experience what ancient Tokyo must have felt like.